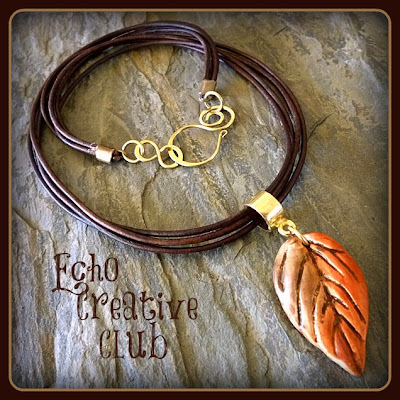 MiShel Designs: Echo Creative Team - November Reveal! Echo Creative Team - November Reveal! Once again it's time for the Echo Creative Club Reveal! This month I decided to keep it simple. Well, that wasn't actually my original plan, that's just how things turned out. 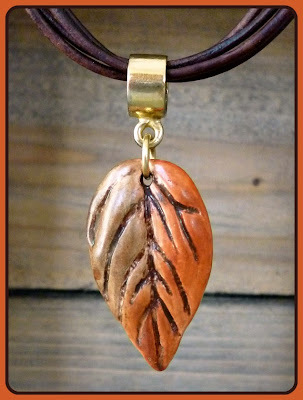 I love working leather into my designs and I really liked how it looked with Jeannie's Aspen Leaf Pendant and so I decided to make something to wear for Thanksgiving. Each year we spend Thanksgiving weekend at my sister and brother-in-law's cabin in the White Mountains of Arizona. My hubby and son (a.k.a. the Masked Rider) built this awesome tree house up there and actually sleep in it - my nephew usually joins them - even when it's 17 degrees or colder out. Silly boys! 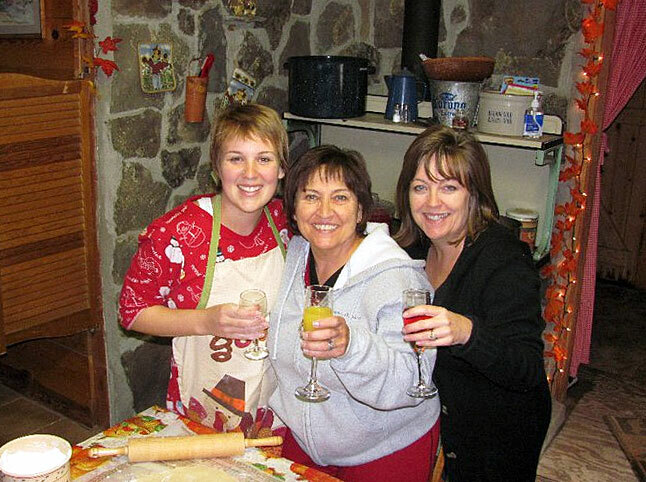 My sis, niece and I prepare all sorts of yummy food and there's usually friends from town that travel in to have dinner with us and the cabin is usually full of people and children. This year my niece is with her in-laws and so I'm missing her super delicious homemade apple pie - big time!! There's lots of Aspen up at the cabin. 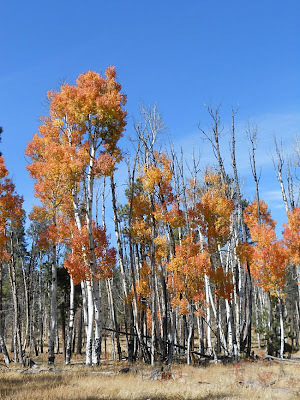 And since the Wallow Fire in 2011, there's a lot more Aspen on the mountain because Aspen come back quite a bit faster than the other trees that were lost in the fire. I look around and am so grateful for all that is still left. 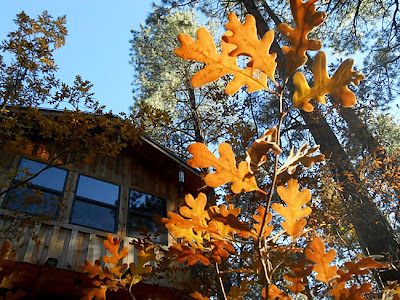 The trees, the cabins that are still standing and the animals that still call this forest their home. It's a quiet Thanksgiving this year. So simple was in order. Please stop by and visit all the other Echo Creative Club Team Members this month to see what they've created with the components that Jeannie sent them. That doesn't look like a tree house, it looks like a vacation house. Sometimes simple is better and in this case it's GREAT! As simple as it is, it really makes a statement. Thanks for all the beautiful photos and thank you for joining me this year on this journey. 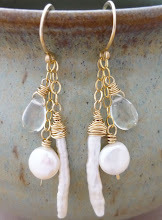 You have made some incredible jewelry. Beautiful necklace I love the simplicity of your design. 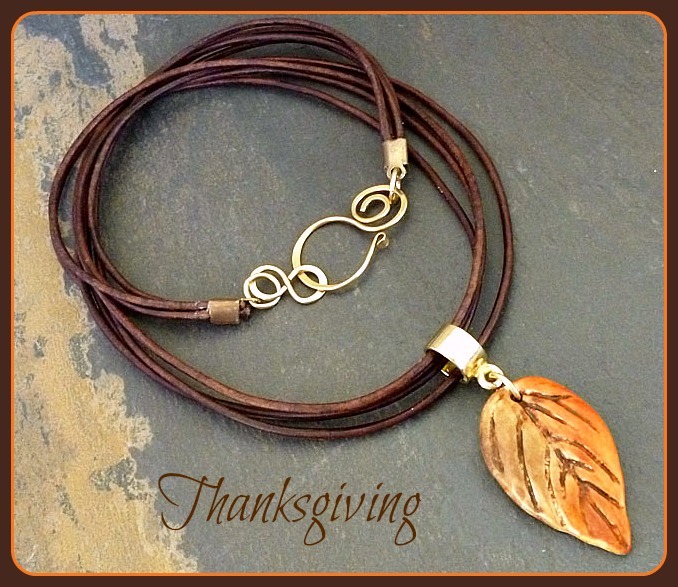 It was just the right necklace for the Thanksgiving day in the woods of North Arizona. That tree house is awesome and the surroundings are gorgeous. Simple yet wonderful! 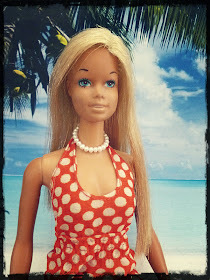 Love your necklace! Simple yes but the statement is amazing as well as the thoughts behind it! What a beautiful design and a beautiful post! I love how your Thanksgiving environment inspired your design. What a beautiful place to spend time with family and friends and recharge. Simple, yet absolutely stunning!!! I can't tell you how much I love this necklace! So beautiful! Such elegance in simplicity - I find that works best with art beads :) at least some of he times. I love your necklace - the 'bail' is truly gorgeous, and the whole piece is lovely. Love the simplicity of your design, works perfect. What a beautiful design! That bail is awesome, too! 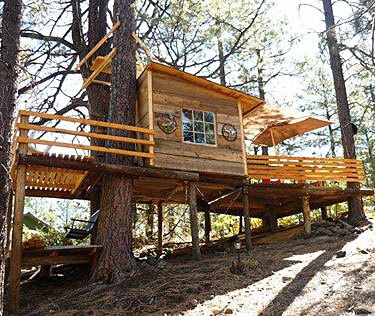 And....that is SOME tree house!!! Thanks for sharing! Wow what a cool treehouse! 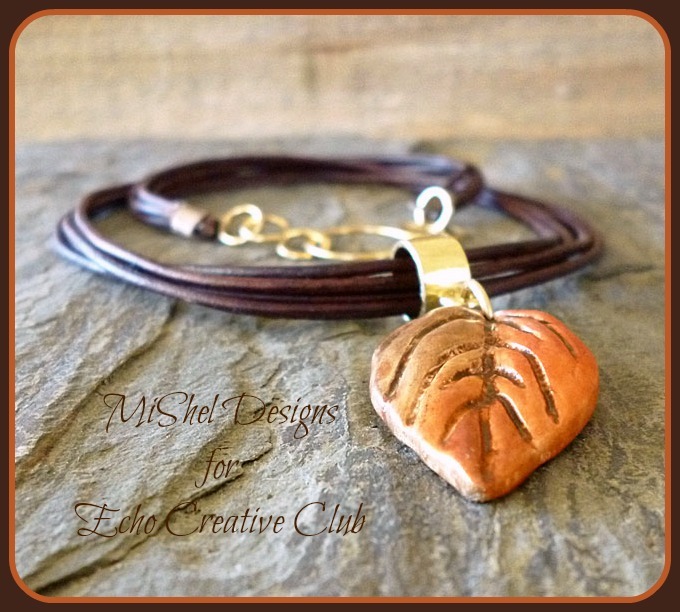 I love the simple leather cord look, I have been trying to keep it simple more here lately in many designs. 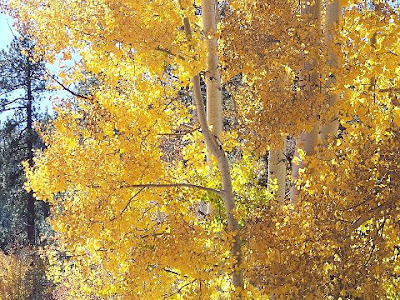 Nature reminds us of the simple things, so it is fitting. 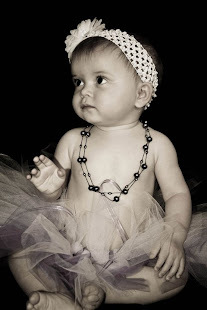 Sweet post, and very sweet necklace! There are definitely times when simple is best. You allowed that gorgeous pendant to really shine. What a gorgeous place of memories for your family. 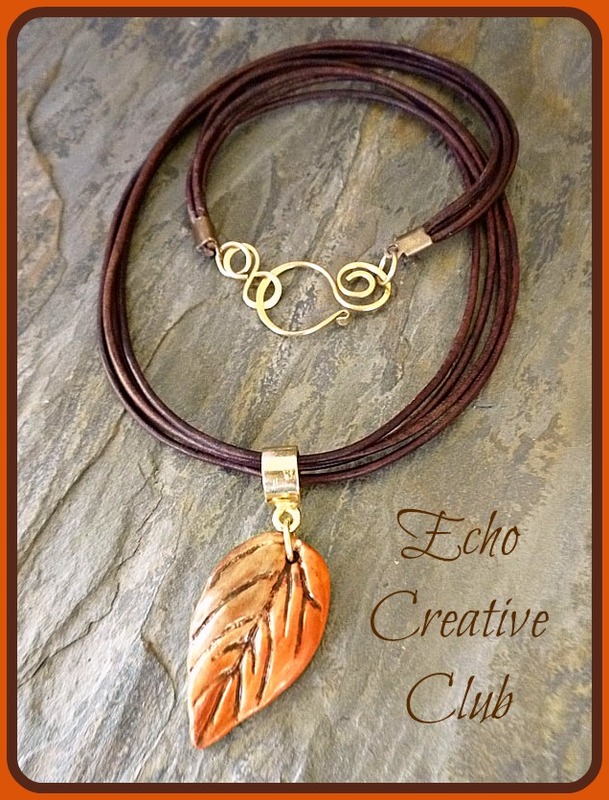 And I love the photo of the Aspens and the perfectly reflected leaf necklace you created. I'm pretty sure we'll be drive through part of the White Mountain region right after Christmas (heading east into New Mexico from Flagstaff). And hope to enjoy the gorgeous vistas with my own eyes. 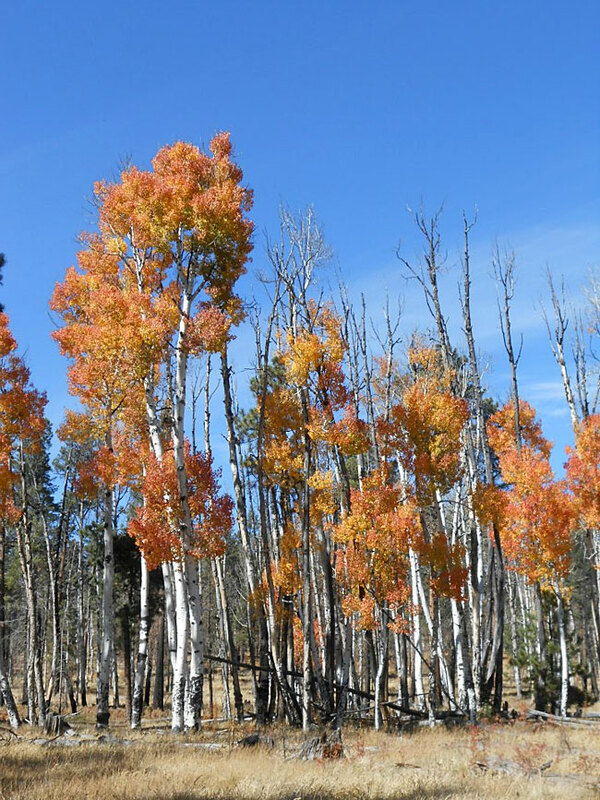 The goal is a wildlife refuge near Socorro that is known as a stopping place for migrating cranes and other birds.